The Herbal Extract Company of North America was established in 1987 as a sister company to the Saw Palmetto Harvesting Company. Originally the company main product was Saw Palmetto Extract. As the Company grew, it diversified into many different plant extracts. Besides herbal supplements the Herbal Extract Company has expanded its products by providing herbal blends for specialized needs including contract manufacturing, private labeling, and bottling of herbal products. Along with the contract manufacturing, private labeling, and bottling of Herbal products you can look forward to vitamin supplements and amino acid supplements. 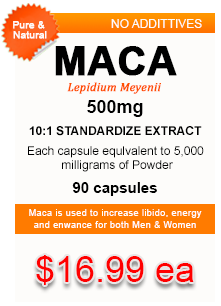 An extensive list of all our dietary supplements can be found on our herbal supplements page on the left navigation. Today, most countries Herbal Extract Company exports supplements to require a minimum of at least an export certificate and a free sale certificate of the supplements being shipped issued on either the U.S. Food and Drug Administration letter head or the export department of the state in which the business is located. The staff at the Herbal Extract Company of North America works closely with the FDA and our state export department. The Herbal Extract Company can provide the necessary documents for importation and customs clearance of our contract manfacturing or bottling of dietary supplements to most countries. If you would like to know more about importing herbal supplements into your country please don't hesitate to contact us.